2015 is shaping up to be a great year at Snowbird Resort (9685 S. Snowbird Center Drive, Snowbird, Snowbird.com) for lovers of libations and great food. During seven Saturday nights this season, The Bird will feature dinners paired with top-notch wines, beers and liquors, with some of the producers themselves in attendance. The pairing dinners will take place at various Snowbird dining locations, including The Aerie, The Lodge Bistro, Seven Summits and The Steak Pit. The fun kicks off Jan. 10 at The Lodge Bistro with a Willamette Valley Vineyards dinner. Assistant winemaker Daniel Shepherd and winery ambassador Wende Bennette will be in attendance. On Jan. 17, it's Fisher Vineyards at The Aerie with Cameron Fisher on hand, and Jan. 31 brings Wasatch Brewery and head brewmaster Justin Kingsford to the Seven Summits for a beer pairing dinner. 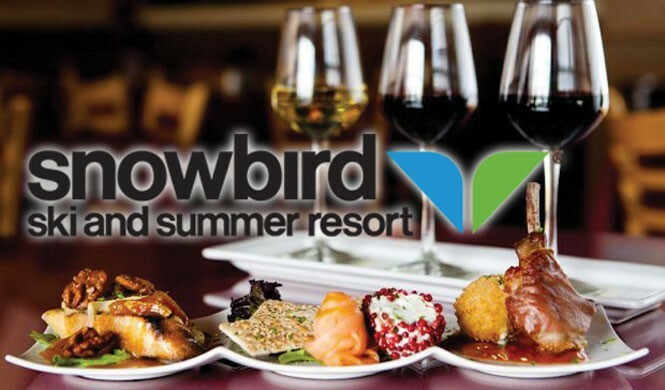 Additional Snowbird pairing dinners include Chateau Ste. Michelle, Balvenie Scott Whisky, Pine Ridge Vineyards and Squatters Brewery. All dinners begin with a cocktail and appetizer reception at 6:30 p.m., followed by a four-course dinner and pairings. For reservations, call the restaurants directly or phone 801-933-2464, ext. 5574. Park City's award-winning Riverhorse on Main (540 Main, 435-649-3536, RiverhorseParkCity.com) is now offering Happy Hour every day from 5 to 7 p.m., with prices for both drinks and small plates starting at just $5. It's a great après-ski option, with temptations like seared lump crab cakes, blue-cheese steak fries, oysters on the half shell and barbecued pork sandwiches, plus selected wines, beers and cocktails. I love being the bearer of good news. And, the good news for oyster lovers is that Market Street Grill and Market Street Oyster Bar (MarketStreetGrill.com) locations are now offering Blue Point oysters on the half shell for 99 cents each, all day, every day. I'd like to tell you more, but I need to skedaddle so I can order a couple dozen for myself!